The Church: What Kind of Community are We to Be? “Group inclusion is a kind narcotic, and a probably more powerful narcotic than adrenaline.” So says author Sebastian Junger, discussing his recent book titled War following the lives of the men of the 173rd Airborne Brigade Combat Team fighting in Afghanistan. He may just be on to something. He later writes. This holds true across any and every spectrum. We all wear our badges of belonging in the form of stickers on our cars, clothes on our backs or laptops in our briefcases. There is truly no such a thing as a man being an island to himself. We all carry with us a sense of belonging to a group that is much larger than just ourselves. And we wear that badge proudly. Even those who would shun stereotypes and labels can’t escape it. They belong to the group that shuns stereotypes and labels! They have there own brand of musical preferences (eclectic: Dolly Parton to Snoop Dog to Death Cab for Cutie) and clothing style (Bobo’s rejected from Art School). They even have the same mantra (“I don’t like to be categorized/boxed in/etc”) and rituals – reveling at much alike they are and unlike everyone else. Together they bond in their uniqueness. We all long to belong to a group that we can identify with – who we get and who gets us. But that never happens perfectly. There is always some point of tension or misunderstanding or worse yet, alienation and exclusion. When that happens, we usually jump ship and go form another group or seek to belong someplace else. This is a common practice today. We see it in church world with the phenomenon of “church shopping/hopping.” We also see it in the political world with the newly formed “tea party” party. Apparently the republicans are not conservative enough, so we need to branch off and form a separate group altogether. But this is not community; its affinity. Its surrounding oneself with only those people whom we get along well with, and who think and behave the ways we are most comfortable with. It’s a form of tribalism – where we erect barriers in order to preserve our groups identity and place in the world by keeping others out. That need for community is meant to be fulfilled, at least temporarily and imperfectly, in the church. However, for those outside the church other forms of community serve to fill that void. Video gamers find community at the local video game store and act violently when their space and community is threatened [illustrations see below]. Others seek to fill the that void with work, or leisure, or perhaps online communities become a way to achieve that sense of belonging without the costly commitment that normally comes with community and fellowship. Among Christians, there is always the temptation within us to either preserve or reject the church and its community. 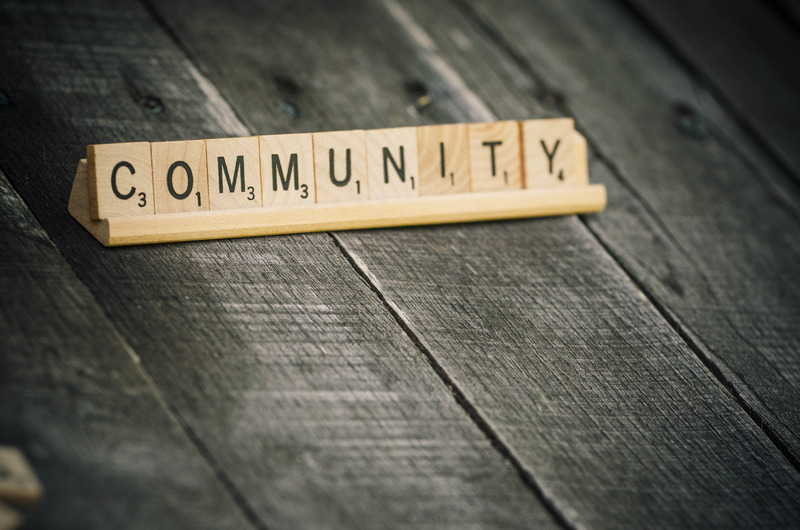 Either we feel as though we don’t need the community, or we feel as though we must protect the community from any outside forces and from any changes. People reject the community of the church for all sorts of reasons, but one of the most common is that the church is full of sinners. Anne Rice, a famous author and Christian convert, recently reported that she was done with Christianity because she simply could not be “anti-gay,” “anti-feminist,” “anti-science” and “anti-Democrat” and that following Christ did not mean following his followers. The comments section of the website on which this announcement was made was full of supporters who echoed similar statements. According to many, you don’t need the church to be a Christian. Living in community with other Christians is difficult, for sure. There is no doubt that the church is full of sinners and that means that there will always be messiness and frustration when Christians seek to pursue real community with each other through the church. However, just as Christ does not abandon us because we are sinners, or obnoxious, ignorant, or prejudiced, we are not at liberty to abandon other Christians for similar reasons. Other people become obsessed with preserving the community exactly as it is, and for them, this means being very unwelcoming to outsiders. There is a security and a conformability that is lost when communities reach out and invite others in. However, one of the very purposes of the church is to provide a place of security from which Christians can reach out and minister to those outside the community. Just as Jesus “did not count equality with God a thing to be grasped, but made himself nothing, taking the form of a servant, being born in the likeness of men,” (Phil. 2:6-7) so should we be willing to release our grasp on the security and comfort that we have in order to minister to others. Jesus was willing to be abandoned by the community of the Trinity for the sake of the world. But the gospel comes in and it challenges our methods for seeking community through tribalism and through radical individualism. It brings together a group of people who have one overruling allegiance to all other allegiances – their relationship to the Lord Jesus Christ. You see the gospel isn’t about being conservative or liberal, bohemian or bourgeois, black, white, Asian, Hispanic, Mexican, man, woman, child, elderly, hip, traditional, old school, new school etc. The gospel is the ultimate relativizer because it is the most radical community builder. The picture presented in Acts 2 is neither of Christians who shun community, nor of Christians who are so concerned with preserving their community that they aren’t willing to reach out and grow. The picture presented in Acts 2 is rather of a group of Christians who were absolutely committed to living together in harmony and unity, sharing all things, including their burdens, with one another. That commitment to radical community and fellowship was attractive in a way that the community continued to grow daily. And this community was formed out of Jews and Greeks, old neighbors and new strangers, living in and out of each others houses and good graces. Why? Because Jesus – the One who was the Son of God – had given himself for these people. “He emptied himself of all but love and bled for Adam’s helpless race.” The gospel forms a new humanity out of the old humanity. It doesn’t just gather like-minded professionals or urban hipsters, or chic soccer moms or organ-and-choir-please church people. It gathers sinning, broken and arrogant people and proclaims to them that there is another way to live. And this new way finds its most significant meaning living life in and with the community of fellow redeemed people. We are called to that same radical community in which we are in each others lives, knowing each other’s problems and struggles, and sharing each other’s burdens. When we can live in community and fellowship with one another like that, then we will truly exemplify the unity and love of the Trinity, and God’s love for us. That sort of community is not only healthy to us and pleasing to God, but it is also attractive to the world. Your neighbors, co-workers, and family and friends are looking for a community like that. Many of them seek it out in organizations like the Lion’s Club, the Rotary Club, the Free Masons, the Soccer Club, the local bar of pub, the various different boards or committees they are on, or internet social sites. However, most such communities don’t offer all that a person needs. They aren’t full of people who will truly sacrifice and provide for them, who will love them and support them. That is the sort of community that people want to be a part of and it is the sort of community that the church is called to be. What sort of community will you be a part of? One that is relativized by the gospel so you can give yourself away to others? Or one that seeks to build up it’s walls of tribalism and live cut off from others?